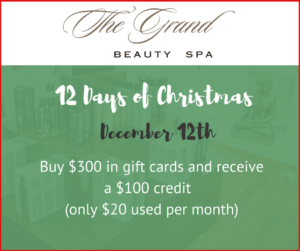 Buy $300 in gift cards & receive a $100 Credit! 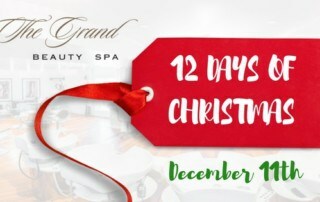 Again, we left out “my true love gave to me…” This year, maybe give the gift of spa, and get something for yourself! Give the gift of spa to family or friends. Its the one things they won’t do for themselves. 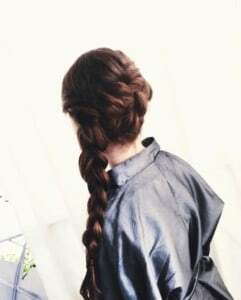 Give them permission to pamper themselves this holiday season. Everything that has to do with relaxation and everything that has to do with beauty is available at The Grand. Buy 2 Products & receive $20 off your next salon or spa service! 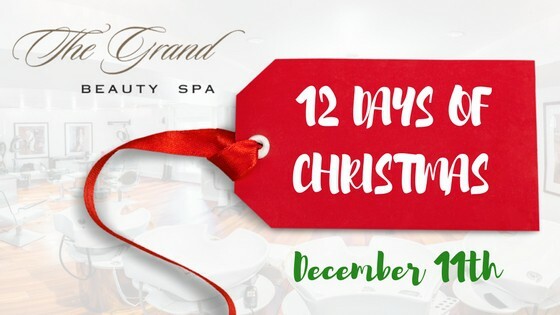 I know, we left out “my true love gave to me…” This year, maybe pamper yourself! 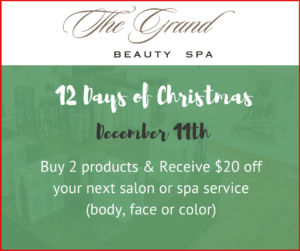 Get beautified for the holidays at the Grand. Everything that has to do with relaxation and everything that has to do with beauty. It’s here at The Grand. 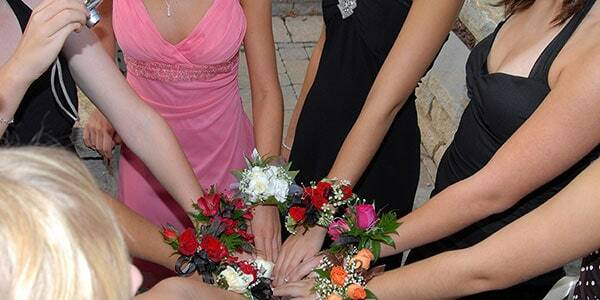 Hello Grand Beauties, We are so looking forward to the upcoming season of the holidays. Gratitude seems to be a great theme this year as it’s been a pretty tough year for most. 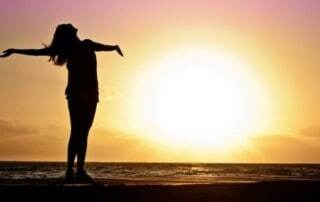 I think we all have to accept that it’s a different world now and we have to be more mindful of our choices. 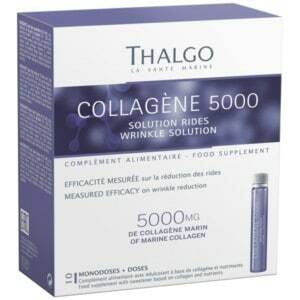 The Amazing One Vial Daily Drink for Wrinkle Reduction – Thalgo Colagene 5000 Booster! Skin feeling a little dull this fall? Plump it up using Thalgo Collagene 5000 booster. This amazing product contains 5,000 mg of highly active and assimilated marine collagen that when taken orally gives your skin that extra boost of hydration and anti-aging we all need. The magic behind this miracle product is in the ingredients consisting of high amounts of vitamin C, selenium which contributes to the production of cells from oxidative stress. One vial daily is all you need for the ultimate wrinkle solution. 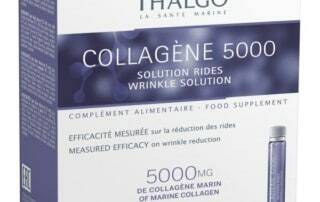 Pick up your box of ten vials of Thalgo Collagene 5000 booster today at the Grand Beauty spa. 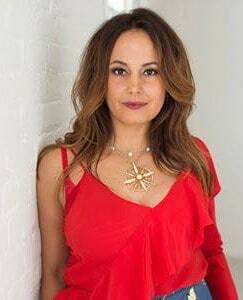 This fall is about restoring your skin and body, keeping yourself grounded and enhancing your natural beauty in the most healing ways. 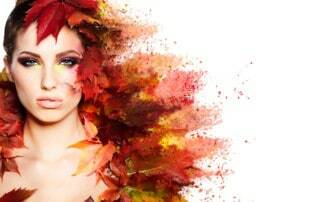 As you begin to feel the shifts in temperature this fall we temp you to choose yourself for a change. It is a blessing to be able to do for others but is your cup full? The school supplies have all been bought, the homework load is piling up and after school activities have students busier than ever. School is officially in session! 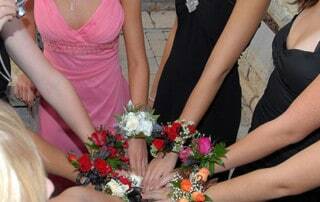 With all the chaos around don’t forget about Homecoming. Varley is a performance-first lifestyle brand committed to creating technically innovative, fashion forward apparel for the modern woman. With headquarters in London and Los Angeles, we take a technically advanced approach to up-to-the-minute design that blends London’s cosmopolitan elegance with L.A.’s active lifestyle. 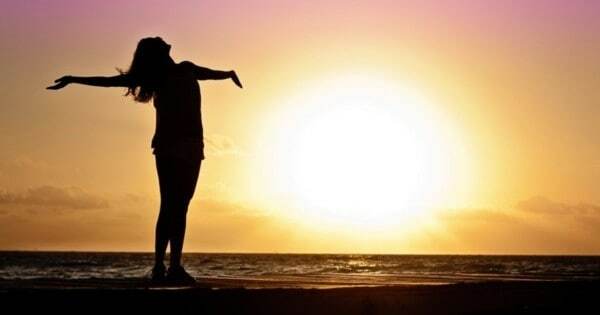 Wonderful blessings are ahead… We have to trust. What a horrific time we have all had to endure with Hurricane Irma and now family and friends have been devastated by Hurricane Maria. I know I have had my own thoughts asking myself what if? But I always go back to we must trust that we are going to be Ok and it’s all part of the master plan or simply how the Universe works.